Other ways to eliminate vibrations? See the following two options. with heavy duty 32 spline output shaft. The following kits require that the TRANSFER CASES be taken apart to install the kits. 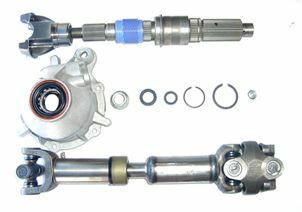 Our kit includes the CV style drive shaft. Makes it less expensive. The design of these kits originate from J-B Conversions. 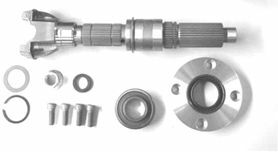 REGULAR Short Shaft Kit for any NP241 transfer case with drive shaft included. SHORTENS your TC by APPROX. 6.5 inches. SHORTENS your TC by APPROX 9 inches.